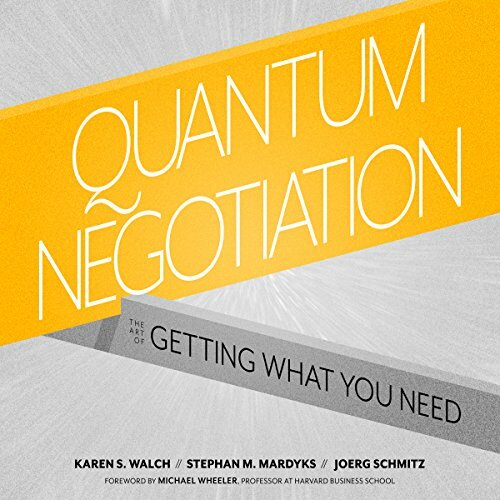 Showing results by author "Joerg Schmitz"
Quantum Negotiation is a handbook for getting what you need using a mindset and behaviors based on a refreshingly expansive perspective on negotiation. Rather that viewing every negotiation as an antagonistic and combative relationship, this book shows you how to move beyond the traditional pseudo win-win to construct a deal in which all parties get what they need. By exploring who we are as negotiators in the context of social conditioning, this model examines the cognitive, psychological, social, physical, and spiritual aspects of negotiation to help you produce more sustainable, prosperous, and satisfying agreements.